It is no secret that I love decorating pumpkins! Every year I decorate my pumpkin in a different way and share it on here, if you're interested in other decorating ideas check out the designs I have done in the past here. This year I was inspired by the sequin sun hat everyone was rocking this summer and the tutorial I did for a DIY version. 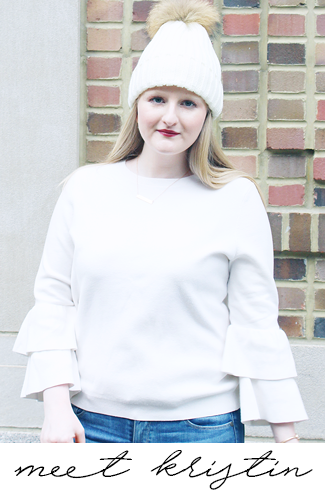 I wanted something simple, yet chic and a touch of gold and sequins was exactly what I was looking for. 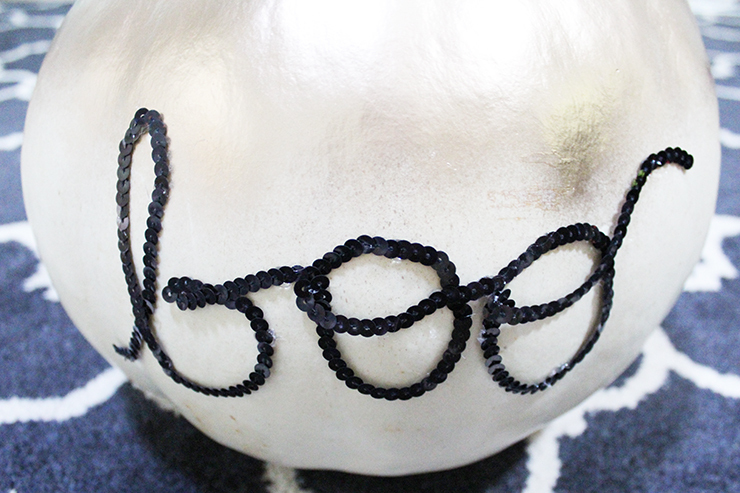 This pumpkin was super easy to make and makes for an adorable decoration. You can make this for your own home decor or even give it to a friend - it would also make a gift! 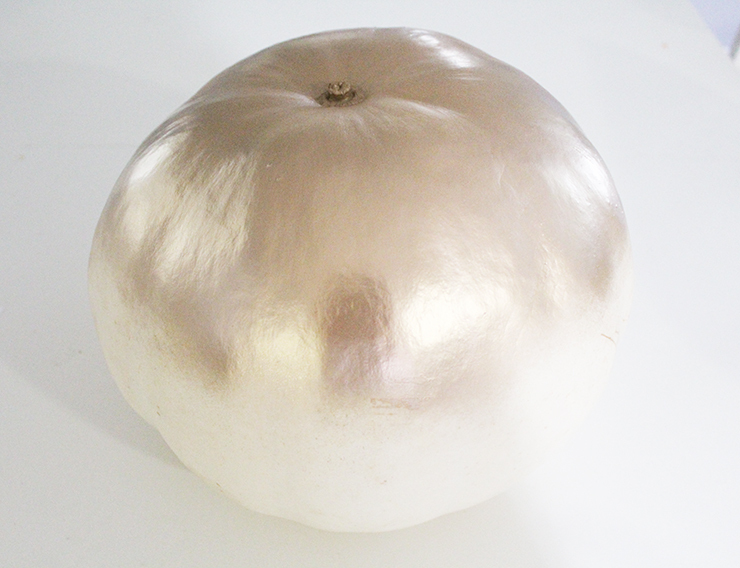 -Spray paint the top third of the pumpkin gold, make sure the paint has a rough splattered edge. Allow to dry. 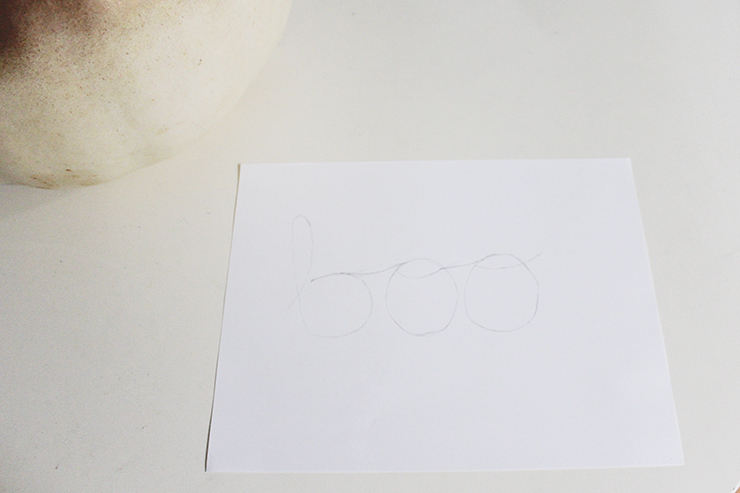 -Write out the halloween or fall phrase you choose on computer paper (I kept my short, sweet, and very Halloween). -Take the X-ACTO Knife, use it to trace the words you drew on the paper, and it will cut into the paper. Doing this will create a stencil. -Place the stencil you created on the pumpkin and trace the words with a pen, you will have to adjust the writing when tracing on the pumpkin so that it goes with the pumpkin's shape. 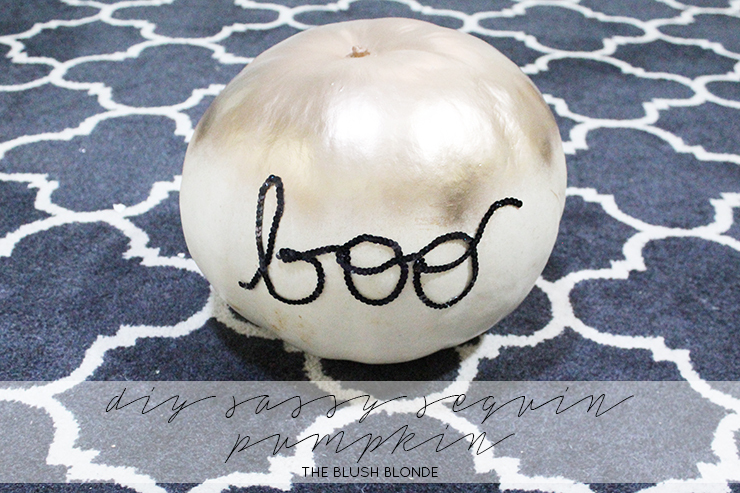 -Take the sequin trim and hot glue it to the words you just wrote on the pumpkin. It's easiest to add hot glue to small sections of the letters and glue the sequins down. -Allow the hot glue to dry (which takes practically no time!). Have you done any fun Halloween crafts this year? This is such a cute idea! Definitely going to attempt this! Oh my goodness! This is the cutest! I love fall DIY projects. This turned out amazing. That pumpkin is the cutest! I'm hoping to get to the pumpkin patch this weekend and carve/paint a few! Your pumpkin is so pretty! I so lazy when it comes to DIY though even if it is easy to do. Wow this is SO great Kristin! Its so elegant and chic! I love it! I've never seen a pumpkin done like this before! This is so FREAKING cute!! 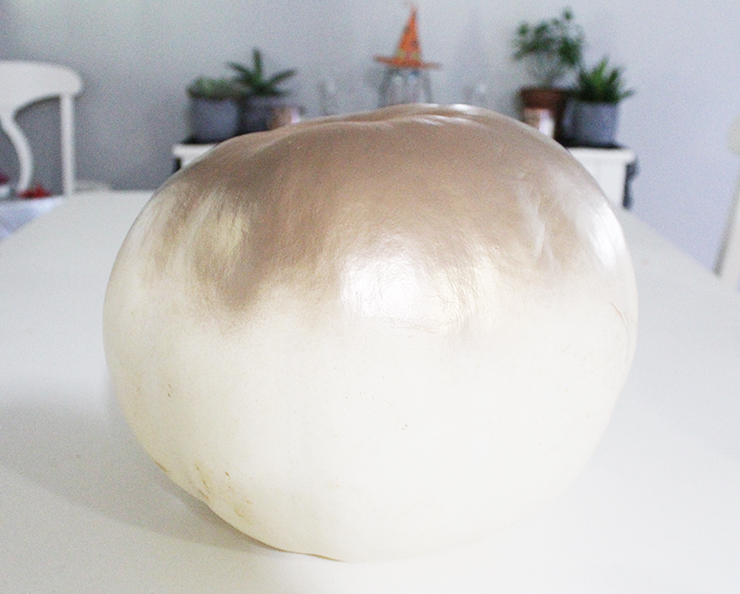 I'm about to paint our two little pumpkins, so this has given me great inspiration. How cute! I love this! I have so many fall/ halloween crafts, but i've never thought of this one! Okay this is ADORABLE! I need to try making these, it makes for such cute fall decor! Pinterest perfect!! Oh my goodness could this be any more perfect!!! This is amazing! I'm so terrible at decorating pumpkins and you did it so flawlessly! Now, do you like carving or painting better? 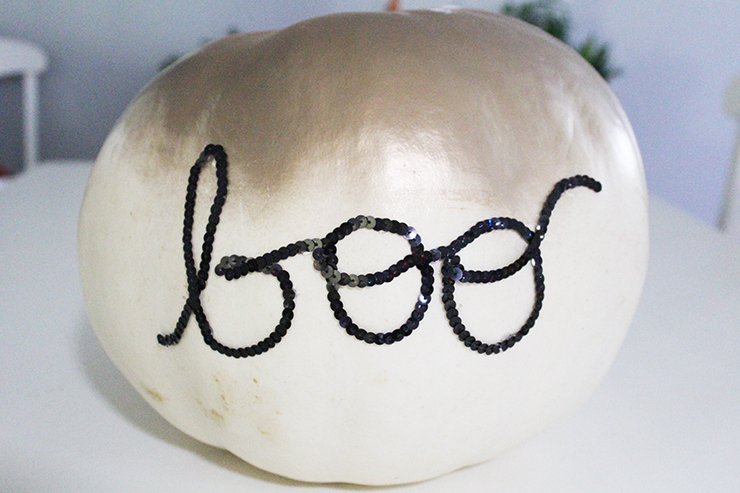 This is the cutest pumpkin DIY ever. I definitely need to try it. I actually have the supplies on hand. Omg, I love this! 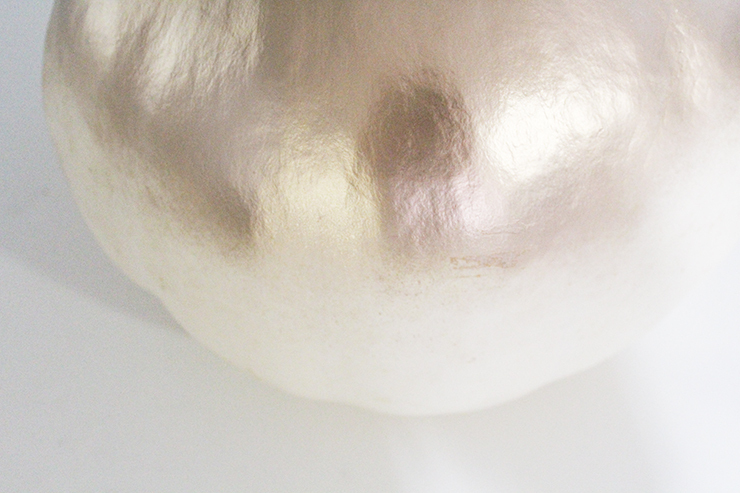 I just painted my pumpkin a matte black and it's gorgeous!